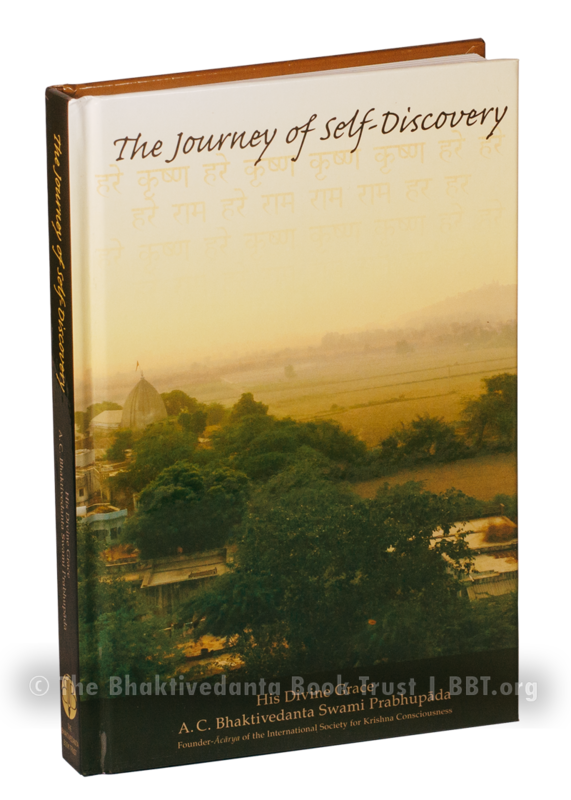 Journey of Self-Discovery is a collection of transcribed conversations and lectures by Srila Prabhupada on a variety of subjects, including the means for achieving global unity, the myth of scarcity, spiritual economics, superior evolutionary models, and predictions of the future state of the world. Many of these pieces previously appeared in Back to Godhead magazine, and helpfully address the doubts that inevitably arise for those new to the Vedic view of reality. While Srila Prabhupada published definitive, scholarly translations and commentaries on some of the world's most important ancient texts—Bhagavad-gita, Srimad-Bhagavatam, and Chaitanya Charitamrita—his printed talks found here in Journey of Self-Discovery capture the humorous, refreshing flavor of his lively debating style. As the ambassador to the West of the age-old Krishna bhakti cult—which teaches practical devotional service to God in His most approachable and attractive form—Srila Prabhupada speaks with an authority that is hard to resist. His arguments for intelligent design, and the existence of a supremely intelligent person possessing such intelligence, have inspired many skeptics, agnostics, and atheists to reassess their worldview.